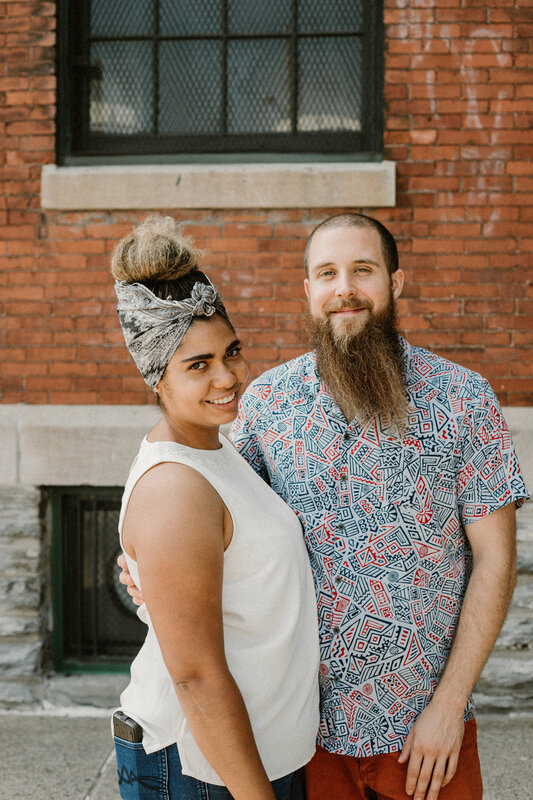 Golden Key Prints was formed in 2016 and is the passion project of the husband and wife duo, Scott Holford and Lauren Leavell. She is from the "Golden" State of California. He has long-lived (and still resides) in the "Key"-stone State of Pennsylvania. Their goal is to deliver handmade art to all people for a reasonable price. Scott Holford is the artist of the duo, and graduated from Temple University with a Bachelor of Fine Arts in Printmaking and teaching certification in 2011. After substitute teaching for a year, he obtained his full time position in an extremely diverse school district outside of Philadelphia. When he is not completely swamped with middle school drama, he produces art for GKP, sells his work at shows, and does commissions for friends and co-workers. Lauren Leavell adds her knowledge of community engagement and social media to the mix to aid Golden Key Prints in bringing the best content and reaching a wide array of people. Prior to working on GKP, she had very little experience with the production of art…or anything else art related. However, she has honed in some of her best skills to compliment her husband’s free spirited mindset.